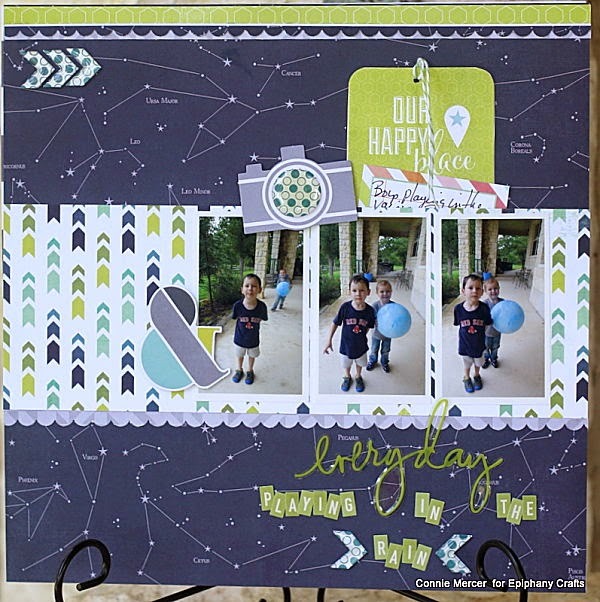 crafty goodies: Epiphany Crafts and Heidi Swapp, great together! Hi guys! 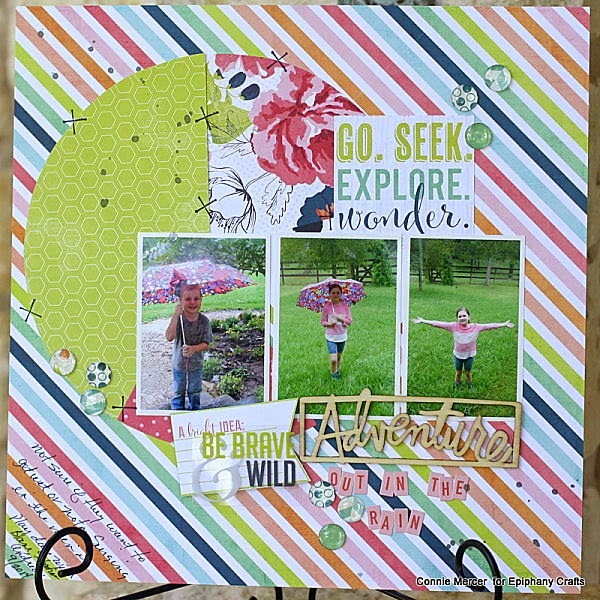 I have a couple of scrapbook pages I did using the, fabulous, Epiphany Crafts tools and some ,awesome, paper by Heidi Swapp. 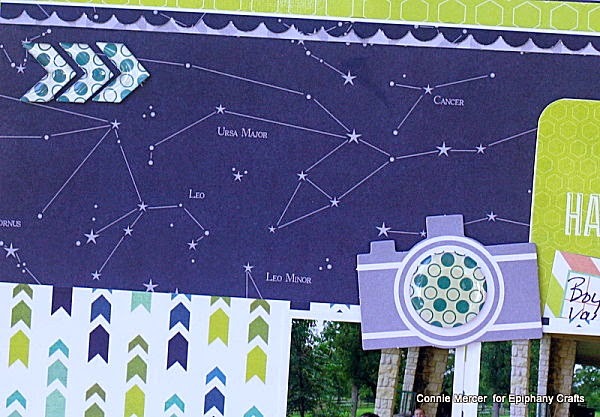 The paper is called September Skies! On this one, I used the EC round 25 bubble cap for the lens of the camera. Works so great, same size as the lens. Also the, way cool, Chevron 25 bubble caps (pointing the way to "our happy place"). I love these pictures, so much. It is always fun to play in the rain :). These kids think so anyway! On this one I used the EC round 14 bubble caps. Kinda of reminded me of rain drops! Loved working with these products!!! Thank You! 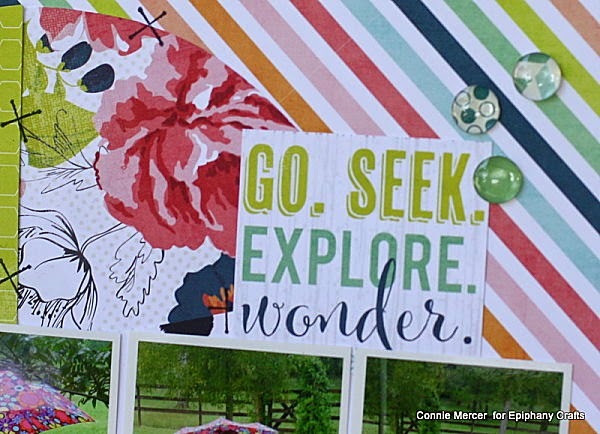 Love your pages Connie! They are so much fun. Ohhhhh these are gorgeous! I love love love the colors!!! !